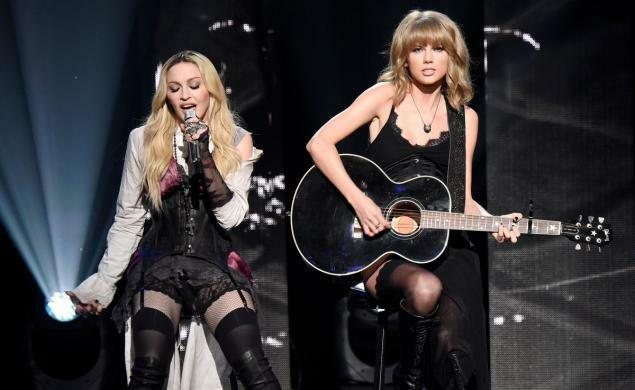 Madonna singing ” GhostTown” and Taylor Swift on guitar is something i still didn’t see but that happened, few hours ago at the iHeartRadio Music Awards. More to come when i return home. ONE AND ONLY QUEEN #Madonna #iHeartRadioMusicAwards pic.twitter.com/F0V8ek6kpo"